Warrior I is an energizing pose for the whole body. It helps us to hone our energy, allowing for the mind to become calm, clear and concentrated. Through practice we become ready to face life challenges with an open heart and feet planted firmly on the earth. Build the pose from the ground up. To get into the form step one foot back on the mat about the distance of one leg. Root the feet into the earth with the front foot facing forward and the back foot open at a 45 degree angle. Once you are in the stance, press the feet into the floor and align your hips so that they are facing towards the front of the mat. Strengthen through the legs, lift the chest and open the heart. 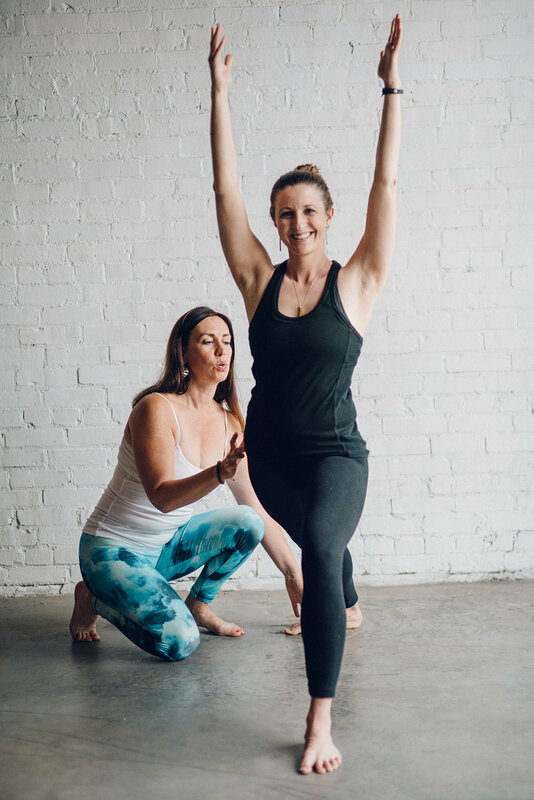 Traditionally, the hands reach towards the sky, but you can also find an arm position that feels comfortable and supportive for you in the moment. Once you are in the pose, take some time to settle in and practice breathing easily.